I was in Savannah for a day of sightseeing, and a day of walking. After all, Savannah is one of the most walkable cities in the country with its Oglethorpe urban street plan and many parks. So I needed a hearty breakfast, and I found it at Clary's Cafe. 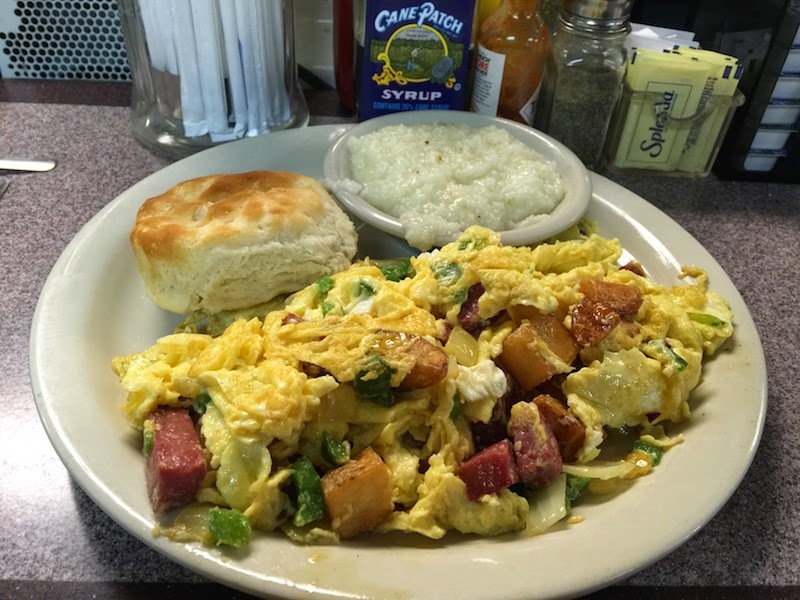 Read my review of the Hoppel Poppel at Clary's Cafe in Savannah, Georgia. Clary's Cafe has been in Savannah since 1903, and it's a pretty big place, although it can get very busy especially on the weekends. I sat at the counter and no sooner had I sat down than I was poured a big mug of coffee. The perfect start to any breakfast! 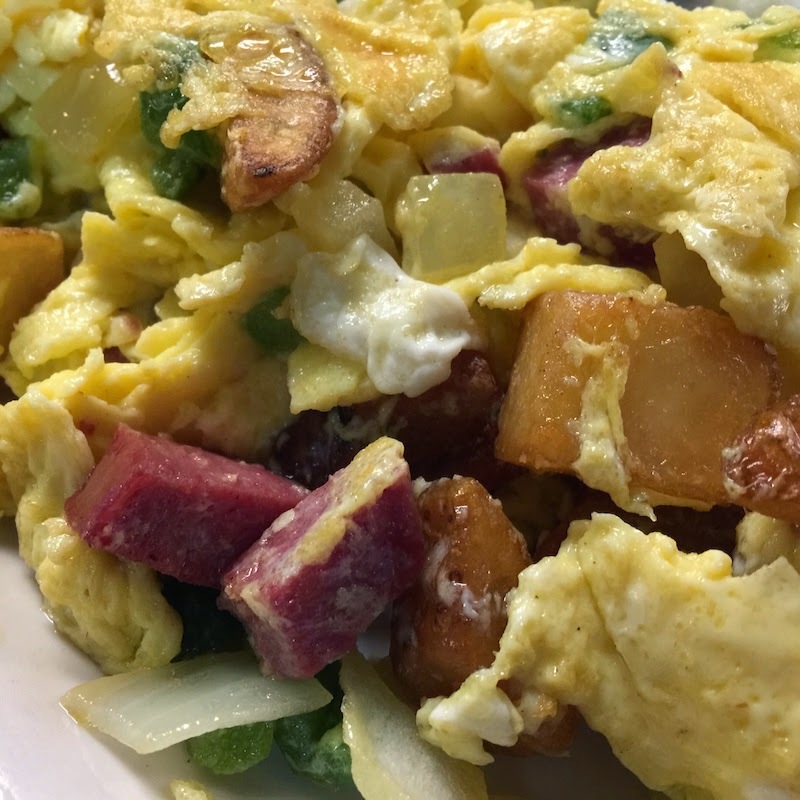 I ordered the Hoppel Poppel as seen on Bizarre Foods America, which is scrambled eggs with chunks of Kosher salami, potatoes, onion and green peppers. It is served with grits and toast, biscuit or bagel and cream cheese. The hoppel poppel was really good, sort of like an egg scramble combined with an omelette. The potatoes are diced small and fried crispy. The salami is really tasty and is almost like having linguisa. I had the biscuit, which was incredibly fluffy and hot. I finished it before starting in on the hoppel poppel. I also had the grits, which were also good, especially with cane syrup poured on top. 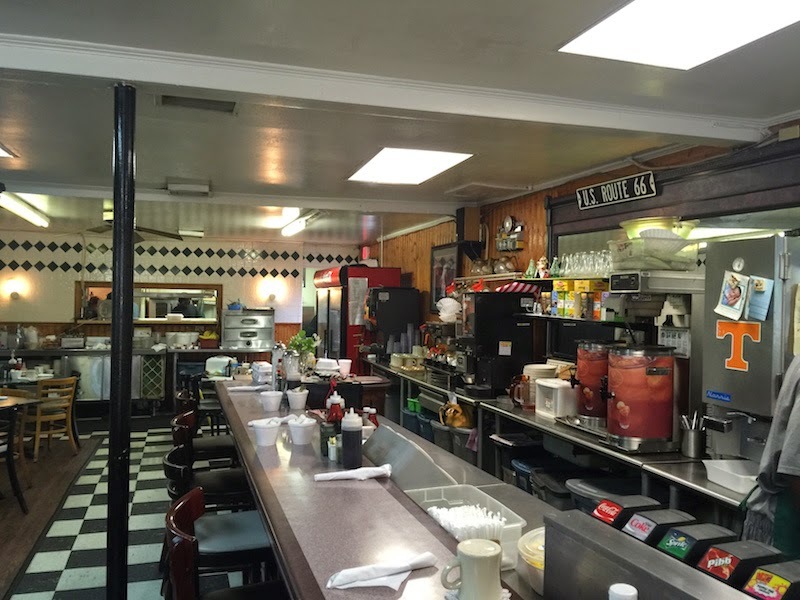 The food at Clary's is really good, and the service is even better. Nothing makes your morning like friendly people. Clary's Cafe was seen on Bizarre Foods America, although I would say Clary's is unique rather than bizarre. 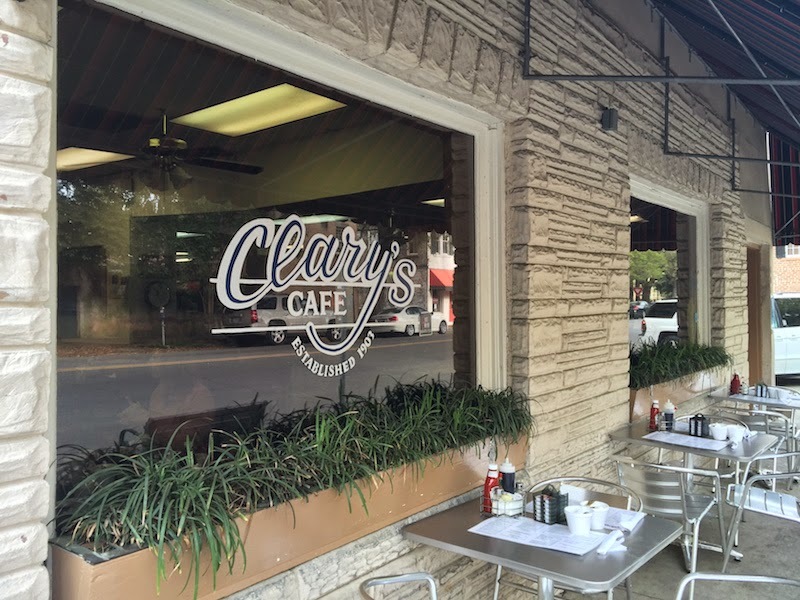 In any case, if you want good food, served quick, and by friendly staff then Clary's Cafe is the place to eat breakfast in Savannah.